Noticeably absent from the peaceful demonstrations are the advocates of the opposite side of the issue. 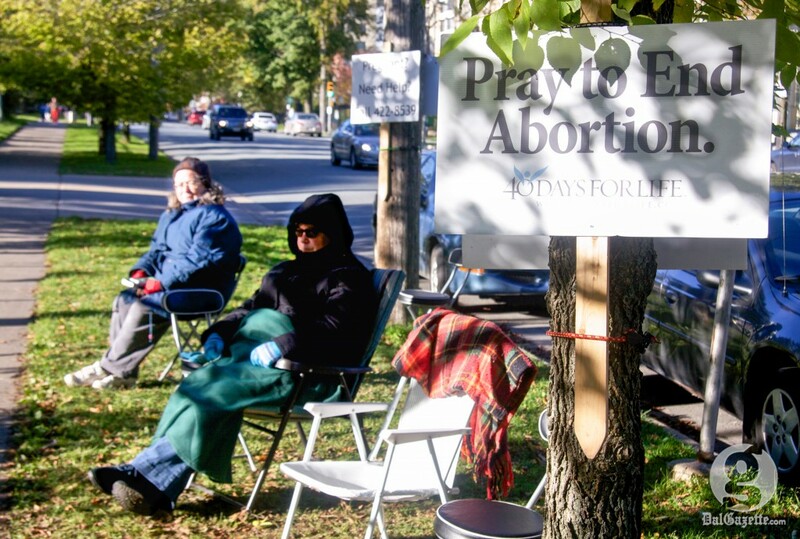 Taking place now through Nov. 4, on the public sidewalk beside the entrance of Victoria General Hospital, a group of sign-carrying pro-life supporters are holding a vigil weekdays from 8 a.m. to 8 p.m., Saturday 9 a.m. to 5 p.m. and Sunday 1 p.m. to 5 p.m. Similar vigils are taking place in Moncton and Fredericton, among other Canadian cities. Here in Canada a backbench Conservative, Stephen Woodworth, recently introduced a motion to study the definition of ‘human being’. It was struck down 203 to 91 on Sept. 26. This attempt to re-open an aspect of the abortion debate in Canada could have led to changes in the criminal code depending on the conclusion of the re-definition. While the motion was soundly defeated, it was surprising that eight Conservative cabinet ministers supported the motion—including the minister for the Status of Women. The abortion issue is far from over, as evidenced by the ease with which it rises to the surface of political debate. If the long-fought battle for a woman’s right to choose is not protected, if the voices for reproductive rights are not heard loud and clear, politicians in waiting may seize upon any apathy to the detriment of all women. So where are the supporters of women’s rights? Where are the voices on the other side of the debate? With the ‘40 Days for Life’ campaign now active in 316 locations worldwide, including seven provinces in Canada, should we not defend what we achieved in 1988 when the Supreme Court of Canada ruled in favour of the rights of Canadian women? Using our Charter of Rights and Freedoms the Supreme Court declared that the old laws infringed upon a woman’s right to life, liberty, and security of the person. The right of Canadian women to execute their own decisions regarding reproduction are being challenged yet again, with little opposition so far. If we must continue the debate, let’s hear from all sides. In Halifax, a public sidewalk is currently overwhelmed by pro-life groups seeking to repeal the laws supporting women’s rights. They should not represent the only voices on this issue.